The Bagri Foundation presents Strauss Reflected, an exciting performance that reveals the emotionally charged lives and works of the Strauss family through Western and Indian classical music and storytelling. The concert sheds fresh light on the shared roots of western and eastern musical traditions with Sinfonia Verdi, conducted by David Murphy, performing some of the most famous orchestral scores of the Strauss masters interspersed with improvised reflections and interpretations of their inner turmoil, by acclaimed Hindustani Classical vocalist Meeta Pandit. with vocal improvisations by Meeta Pandit. 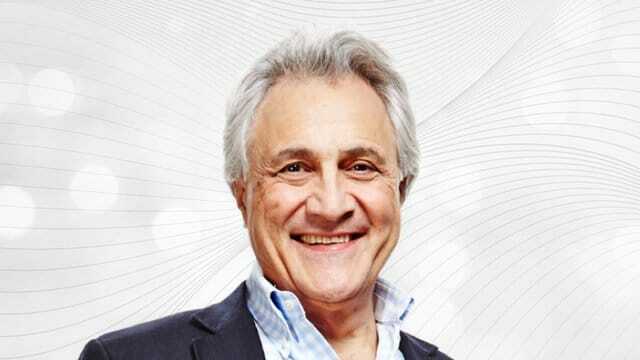 John Suchet presents the morning show on Classic FM every weekday from 9:00am to 1:00pm. He has written the Sunday Times bestseller, The Last Waltz: The Strauss Dynasty and Vienna. John has been awarded an Honorary Doctorate by his old university, The University of Dundee, and Honorary Fellowship of the Royal Academy of Music for his work on Beethoven. Meeta Pandit is an acclaimed Hindustani Classical vocalist who belongs to the Gwalior Gharana. Granddaughter and disciple of Pt Krishna Rao Shankar Pandit, and daughter of Laxman Krishnarao Pandit, she is the sixth in the unbroken lineage. Her voice, both melodious and robust, whose vocal range stretches over three octaves, and her beautiful raga handling have won her critical acclaim and awards. David is a renowned conductor who has garnered an international reputation for an innovative approach to classical music and unique experience of bringing together eastern and western musical traditions. Murphy’s pioneering musicianship has resulted in landmark world premiere performances, notably Amjad Ali Khan’s sarod concerto, Samaagam, with the Scottish Chamber Orchestra and Ravi Shankar’s Sukanya with the London Philharmonic orchestra. He is a highly experienced Musical Director, having held this position with the virtuoso chamber orchestra Sinfonia Verdi since 1990.